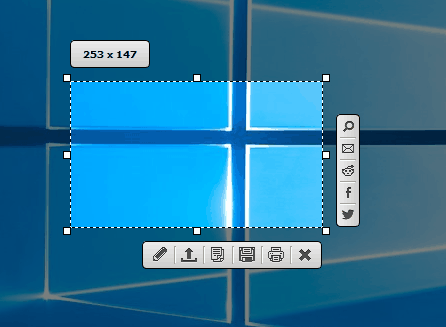 Creating a screenshot on your PC is relatively simple, but what if you want to share that screenshot with others? To do so you need to save it on your PC and then upload it manually to an image sharing website or send it to someone directly. This can be a tedious process, especially if you send screenshots frequently. Fortunately for you there are many great tools for Windows 10 that will allow you to create and upload screenshots online. What are the best tools to create and upload screenshots online? If you want a simple tool to upload screenshots online, we recommend that you try out Lightshot. This tool uses the same shortcuts as Windows, so you can easily create screenshots simply by pressing the PrintScreen button. The application has a minimalistic user interface, and you can easily create your screenshots. Simply select the area that you want to capture and you can instantly upload your screenshot to Lightshot servers and share it with others. In addition, you can also share the screenshot on social networks or search for similar images on Google. The tool also allows you to print directly from it or to copy a screenshot to your clipboard. Of course, you can also save the screenshot locally if you want. It’s worth mentioning that Lightshot supports some basic image editing and you can draw lines, arrows, rectangles or add text to your screenshots. After you create your screenshot, you’ll see a link to it so you can easily share it with others. This is a simple tool, and it will allow you to share screenshots online with ease. If you’re looking for a basic screenshot tool with a simple interface, we strongly recommend that you try Lightshot. Regarding the flaws, one flaw might be the lack of ability to take a screenshot of the currently active window, but if you don’t mind this small limitation we strongly recommend that you try this tool. 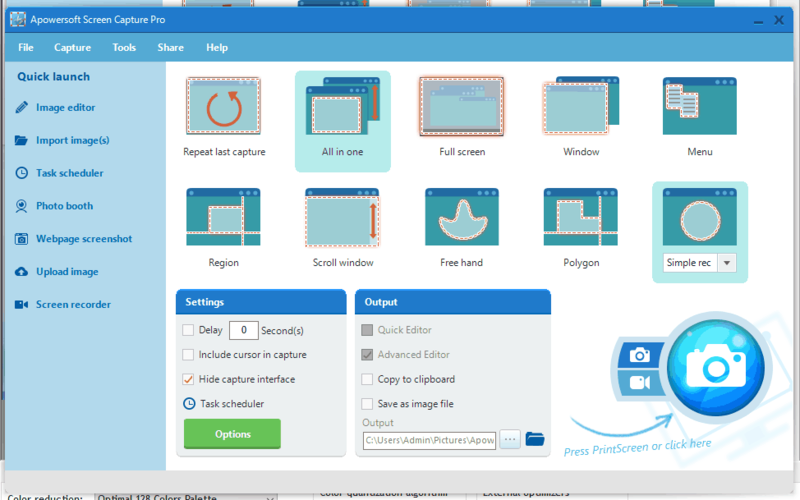 Apowersoft Screen Capture Pro offers wide range of features and it allows you to create screenshots with ease. 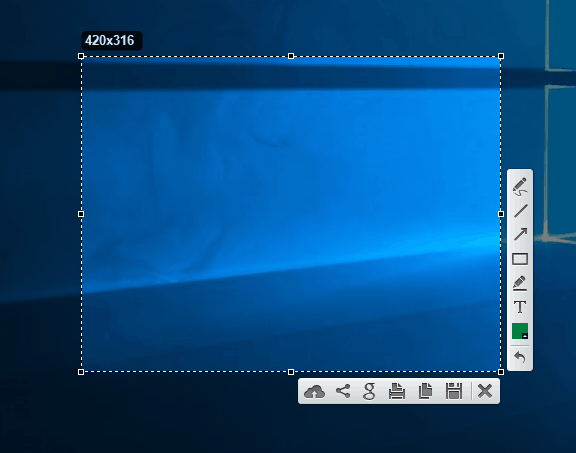 The tool allows you to create screenshots of the full screen, particular region or a window. In addition, you can also create screenshots of scrolling windows. It’s worth mentioning that this tool allows you to create scheduled screenshots. You can customize the settings and select a region, program or a window that you want to screenshot at selected intervals. Apowersoft Screen Capture Pro supports wide range of features, so it will be perfect for basic and advanced users alike. Unfortunately the tool isn’t free, but you can download and use the trial version for three days. ShareX is free and open source application for taking and sharing screenshots online. The tool supports several screen capture methods such as full screen, window, monitor, region, scrolling, and freehand. ShareX offers wide range of actions after taking a screenshot, and you open the screenshot in your image editor, upload it online, open its destination folder and much more. We have to mention that this tool allows you to upload screenshots automatically once you take them, but you can also upload any file from your PC. Regarding the file sharing, this tool is compatible with 80 different online services including Imgur, Dropbox, Pastebin. If you don’t want to use any of these services, you can also use FTP connection to upload files and screenshots directly to your FTP server. ShareX also comes with tools such as color picker and image editor, so you can easily edit your screenshots. Additional tools include a ruler, DNS changer, QR code generator, etc. We also have to mention that this tool supports screen recording, which can be extremely useful. ShareX is undoubtedly one of the most powerful screenshot tools that allows you to upload screenshots online. The tool has a wide array of features so it’s perfect for advanced users. This is a great tool, and since it’s completely free we highly recommend that you try it. 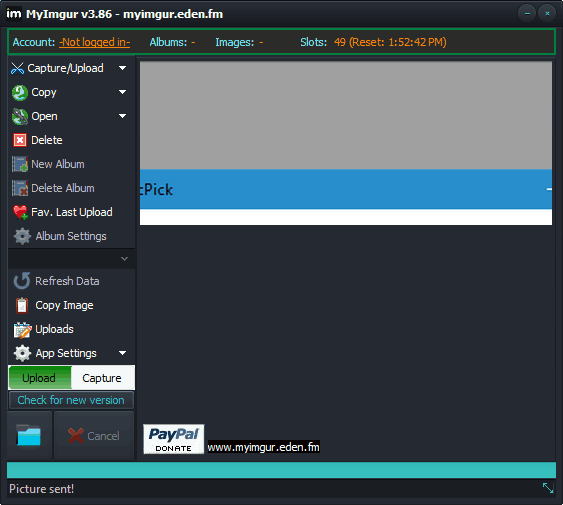 Another simple tool for uploading screenshots online is Gyazo. The tool supports both screenshots and animated GIFs. As for screenshot sharing, you just need to run Gyazo or press the keyboard shortcut to capture a screenshot. This application is completely automatized, and as soon as you create the screenshot, it will be uploaded online. After the upload, you can easily share the link and your screenshot with others. It’s worth mentioning that your screenshots are automatically organized online by the app name, date or web address, so you can easily find them. The free version of Gyazo offers decent features, but there’s also a Pro version available. The Pro version offers unlimited image history and storage, as well the ability recognize text from your screenshots. Additional features of Pro version include the ability to add notes, arrows and drawings to your your screenshots. The Pro version also allows you to create GIF animations that last 60 seconds. It’s worth mentioning that Pro version also has an Ivy Search feature that lets you search through your image history more easily. Gyazo is a solid screenshot tool, but if you want to access certain features, you’ll need to pay a monthly fee. We also have to mention that the tool doesn’t allow you to create a screenshot of a currently active window, which can be a minor flaw for some users. If you want to quickly and easily upload your screenshots online, you might want to consider ScreenCloud tool. The tool allows you to take a screenshot of an entire screen, specific region or an active window. Each of these actions can be triggered by using a specific keyboard shortcut thus making the process fast and simple. After you create a screenshot, you can upload it to ScreenCloud servers or you can use third-party services such as Dropbox or Imgur. You can also upload the screenshot to your own server using the FTP connection. In addition to uploading your screenshot, you can also edit it by adding shapes and text to it. 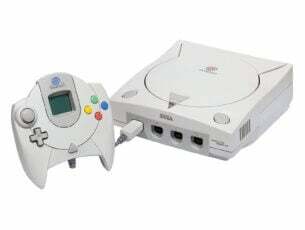 Regarding the compatibility, this tool is available for Windows, Mac and Linux operating systems. ScreenCloud is simple and free to use, but we have to mention that there’s a Premium model available. The Premium model allows you to create uncompressed screenshots and image albums. In addition, the Premium version offers unlimited storage time, but you’ll need to pay a monthly fee if you want to use premium features. Sharing your screenshots online is quite simple if you have an appropriate tool. 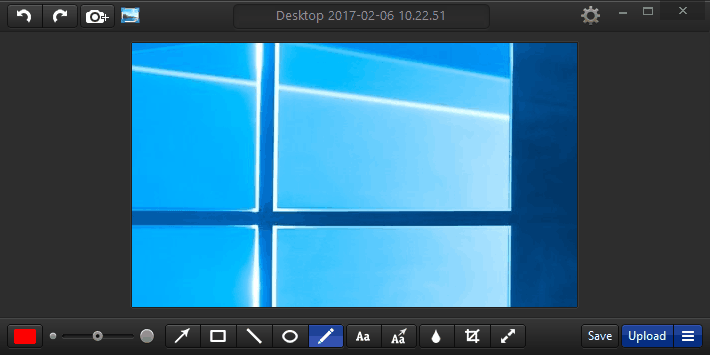 Monosnap tool allows you to capture a full screen, part of a screen or a selected window. The tool has a built-in magnifier so you can create pixel-perfect screenshots with ease. After you create a screenshot, you can easily edit it thanks to the built-in editor. You can add text and different shapes to your image, or you can crop and resize it. The tool also allows you to blur out specific sections which can be rather useful if you want to protect your personal information. Regarding the upload, the tool supports Monosnap service that requires a free account in order to work. You can also use WebDAV, Amazon S3, FTP or SFTP. Monosnap is a great tool with simple user interface, and it’s biggest flaw is the lack of support for third-party image hosting websites. If you don’t mind this limitation, you can download and use this software for free. Another simple tool that can upload screenshots online is PostImage. This is a free and simple tool, and it comes with minimalistic user interface that allows you to easily take screenshots. The tool allows you to take full screen, window or region screenshots, which should be enough for most users. PostImage also allows you to upload images from your PC online with a single click of a button. Simply select the image you want to upload, right click it and choose the desired option. This feature is quite useful if you need to upload multiple images online. PostImage allows you to quickly share your screenshot on social networks such as Facebook, Twitter or Reddit, but you can also share screenshots via email. The tool also allows you to print or save your screenshot locally. Of course, you can save image to clipboard and paste it later to any other tool. This application also supports basic editing so you can add shadows or outlines to your screenshots. If you want, you can also add watermark to your screenshot in order to protect it. Another feature that can be useful is the ability to blur certain part of the image thus protecting sensitive information. Of course, you can add shapes such as rectangles and arrows to your screenshots, and you can even add text and highlight certain elements. PostImage is a simple tool that offers wide array of features. The tool is free to use, and with its simple interface it will be perfect for any user that wants to share screenshots online. It’s worth mentioning that portable version of this application is available, so you can use PostImage without installing it to your PC. If you’re looking for a simple tool to upload screenshots online, you might want to check out Screenpic. 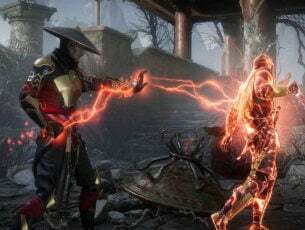 This tool allows you to easily upload your screenshots online, and according to the developer, it takes less than 5 seconds to do so. As soon as your screenshot is uploaded, its link will be copied to your clipboard automatically so you can easily share it with others. Another great feature of this application is the upload history. By using this feature you can see all your uploaded screenshots, thus making it easier for you to share older screenshots again. Screenpic has a built-in editor so you can easily add shapes such as arrows to your screenshots. You can also highlight certain elements, add text or blur sensitive information. The tool also allows you to crop your screenshots thus leaving only important information available. Regarding the supported image hosting servers, this tool works with Imgur and Geekpic. Screenpic is a simple tool, but it offers some useful features such as upload history. If you want to quickly share your screenshots with others, this tool might be perfect for you. The application supports hotkeys and entire upload process can be automated thus making screenshot sharing more streamlined and natural. Regarding the flaws, the only flaw of Screenpic might be the limited support for image sharing websites and the lack of FTP option. Despite these minor flaws, this is still a great application for basic users, so be sure to try it. Another tool that can quickly upload your screenshots online is Grabilla. We have to mention that this tool uses Grabilla cloud storage, so you’ll need to register a free account before you can use it. Regarding the tool, it allows you to take full screen, window or rectangle screenshots. In addition to screenshots, this tool supports animated gifs, scroll capture and video recording. The tool offers the basic image editing options so you can add shapes, arrows and text to your screenshots. The application has a humble user interface, and it’s simple to use, so basic users won’t have any problems with it. Grabilla is a decent tool for uploading screenshots online, and its main flaw is the inability to use third-party image hosting services. In order to share screenshots online with this tool you’ll have to register a Grabilla account. Another minor flaw might be the application’s humble user interface. Although user interface is simple, sometimes it can be a bit unresponsive and it looks a bit outdated by today’s standards. Despite these minor flaws, this is still a decent and free application, so you might want to try it. 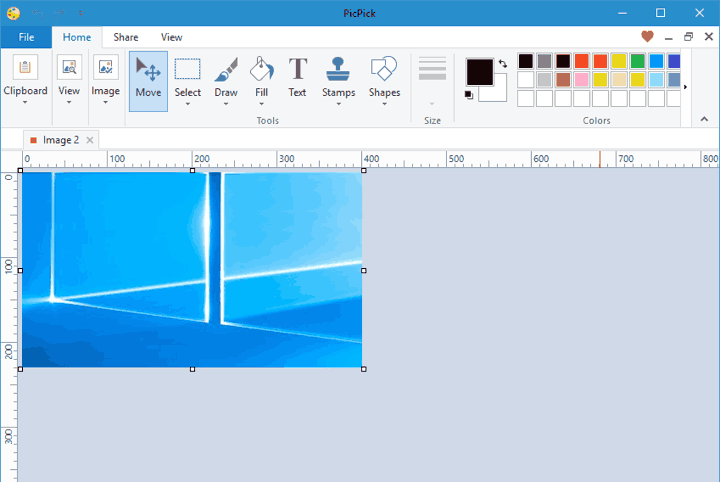 This screen capture tool will allow you to to create full screen screenshots as well as screenshots of active windows or scrolling windows. In addition, the tool also allows you to create a screenshot of a specific region on your screen. The tool also has a built-in image editor so you can add arrows, text and different shapes to your screenshots. Of course, the image editor also supports various effects such as shadows, frames, watermarks, blur, etc. PicPick supports advanced sharing and you can upload the screenshot to your FTP server or you can use cloud storage service such as Box, Dropbox, Google Drive or SkyDrive. Of course, you can also share screenshots on social networks. In addition, you can upload your screenshots directly to Imgur. As for additional features, this tool comes with a color picker, color palette and pixel ruler feature that will be useful to designers. There’s also a magnifier, crosshair, protractor and whiteboard. These features aren’t related to screenshots, but they can be quite useful to designers. PicPick is a great tool, and it offers wide range of features, so it will be perfect for basic users and designers. This application is free for personal use, but if you want to use it commercially you need to purchase a license. We also have to mention that this tool is available as portable application, so there’s no need to install it on order to use it. If you want to quickly create screenshots and share them online, you might want to consider MyImgur application. This application supports Imgur, and it won’t work with other image hosts or cloud services. The application allows you to create a screenshot of an active window or of a certain region. After doing that, your screenshot will be uploaded to Imgur automatically. In addition to screenshots, you can also upload any other image from your PC to Imgur. Once the upload is completed, you can get the share link and share the screenshot with your friends. We have to mention that this application doesn’t support any kind of editing, so you can’t add shapes or text to your screenshots. It’s worth mentioning that this application is available in portable version, so you can run it on any PC without installation. MyImgur is a simple application, and it’s perfect if you want to share your screenshots online on Imgur. If you’re looking for an application that supports screenshot editing and other image hosting sites, we suggest that you skip MyImgur. Sharing screenshots online is relatively simple, and if you want to do that be sure to try any of the tools from this article. Where do my screenshots go on Windows 10?